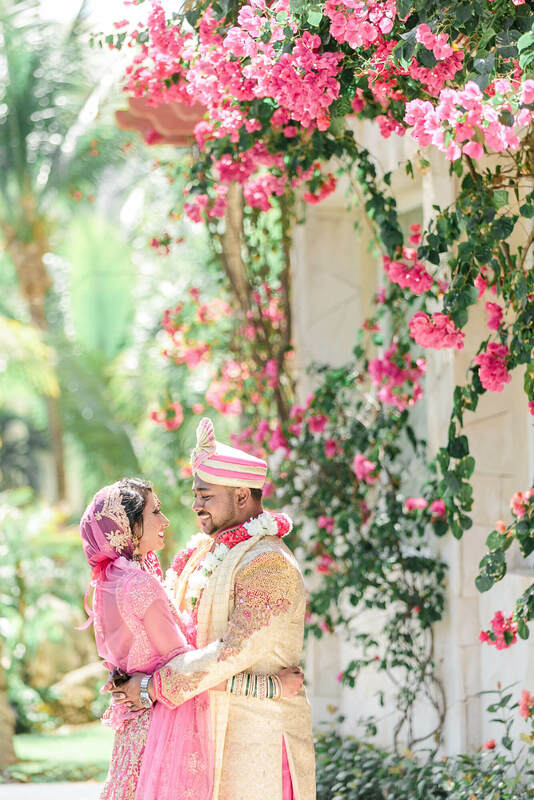 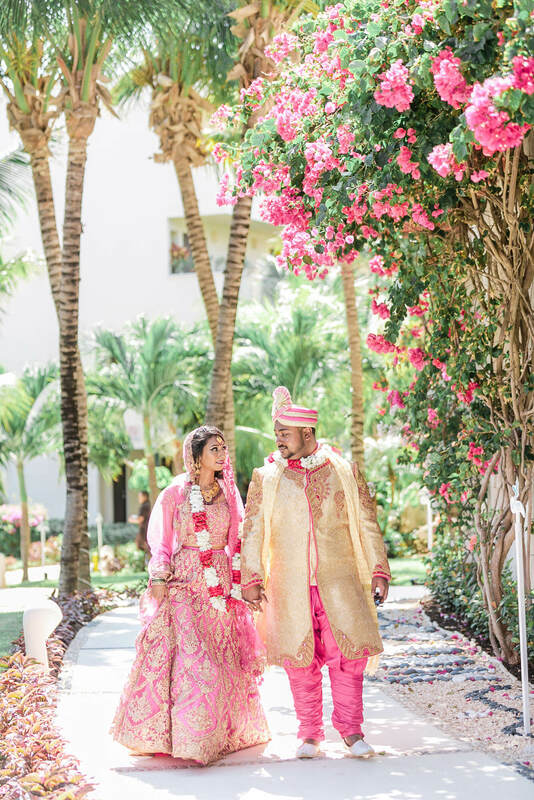 Our work with Naveena & Shahed on their weekend destination wedding began just a few days earlier, as our videographers and cinematographers flew in from Toronto to Cancun on Monday to prepare and rehearse for the festivities which would begin on Thursday. 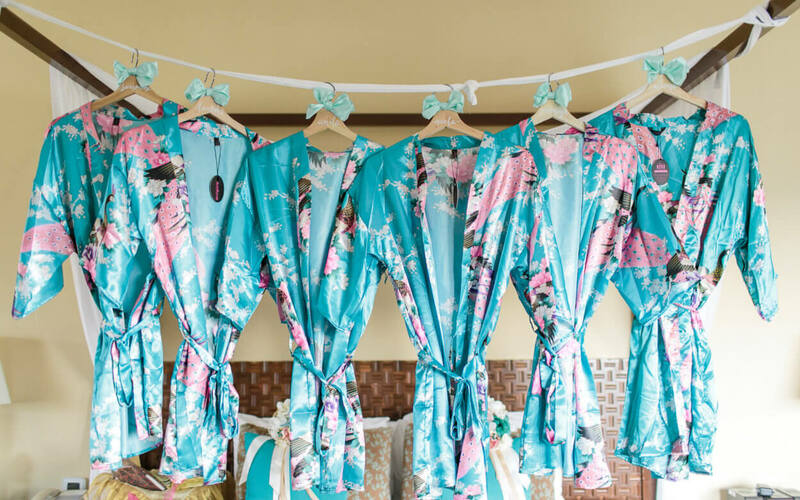 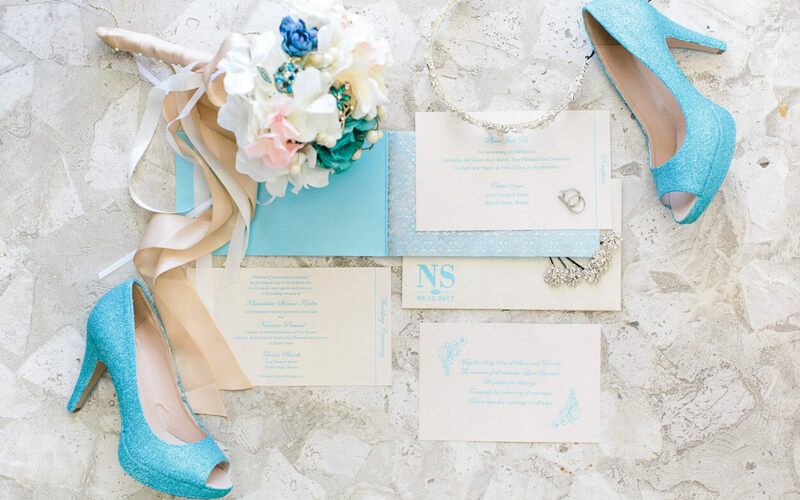 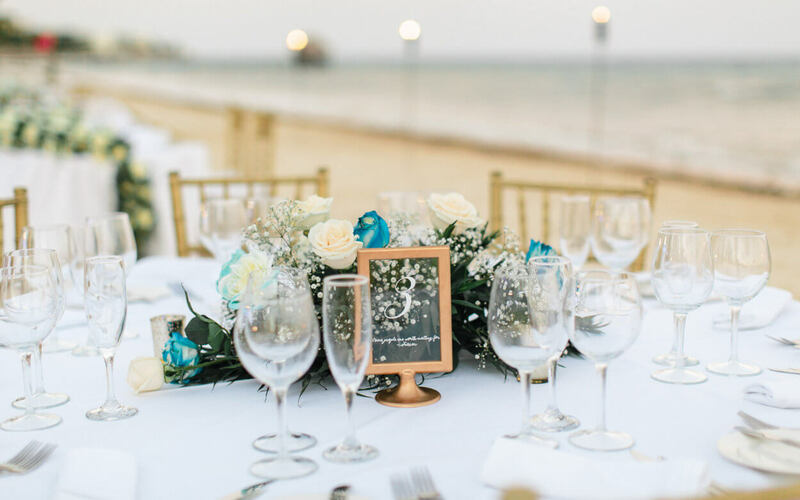 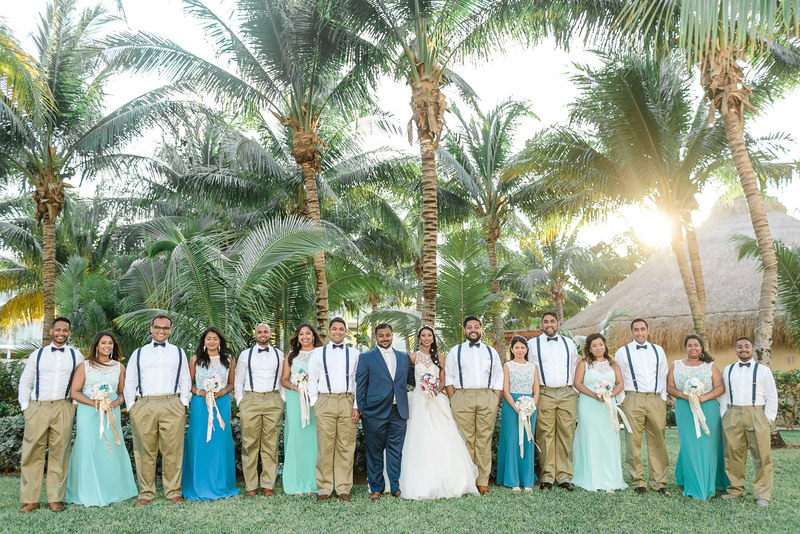 A total of 75 guests flew in to Cancun for this exclusive destination wedding day getaway event; quite a sizable number in terms of destination wedding attendees. 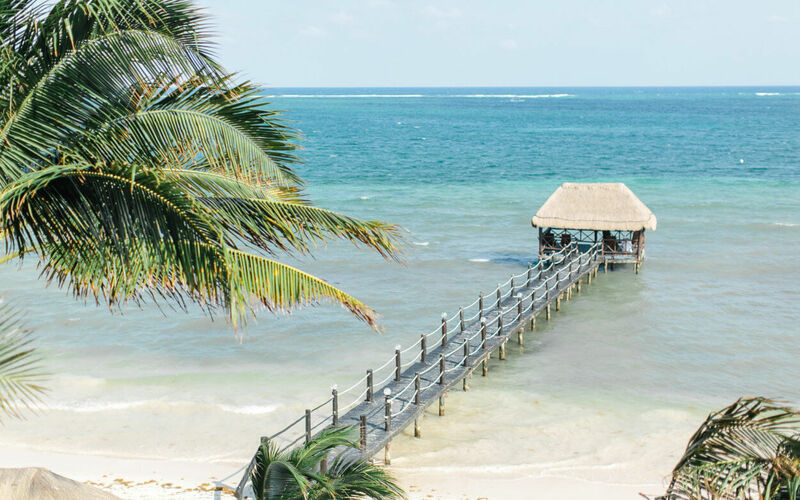 The destination would be the Azul Sensatori Mexico Resort, an incredible beachside resort in Cancun that made for one of the most beautiful filming locations our videographers and cinematographers had the pleasure of working in. 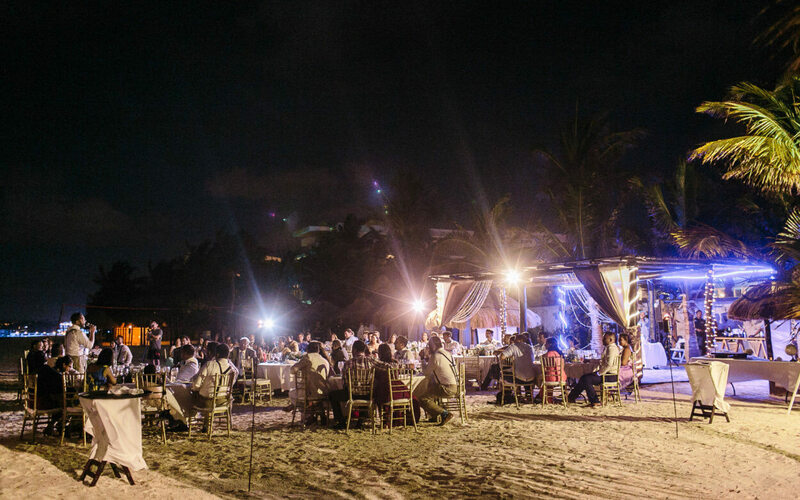 With a ‘Coco Bongo’ night on Thursday to warm up our palettes, and welcoming ceremonies held on Friday, Naveena & Shahed treated their special guests to an unforgettable beach-side experience at the Azul Sensatori Resort; from an intimate bonfire and BBQ to sentimental speeches from family and friends, to a dance party by the beach to close the night under a spotless evening sky, all truly special memories documented by our videographers and cinematographers. 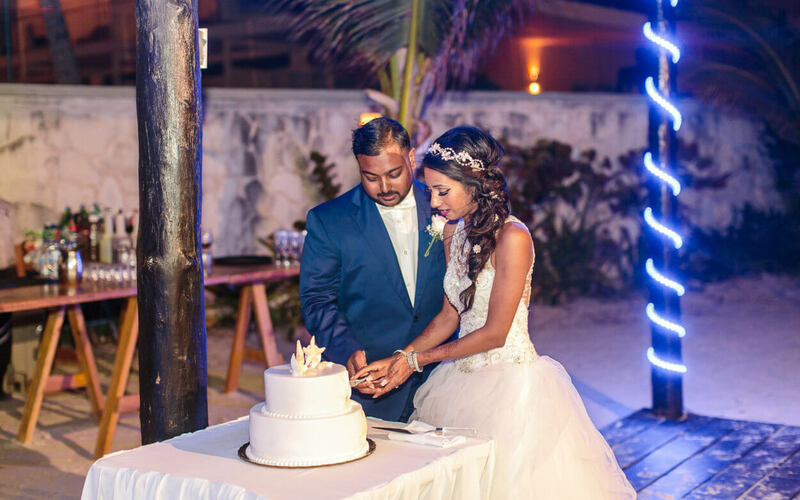 From the wedding weekend highlight reel, our videographers and cinematographers captured a captivating overview of the beaches at Cancun using our aerial drone camera; because who could really resist such a prime opportunity? 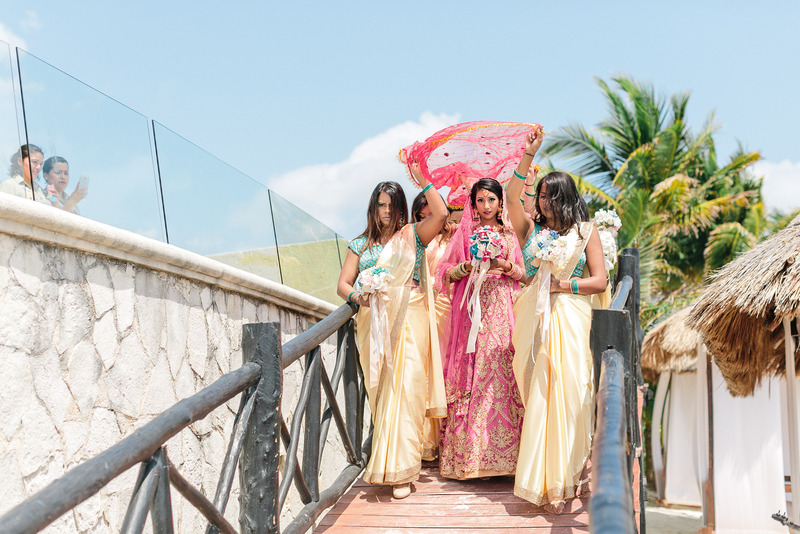 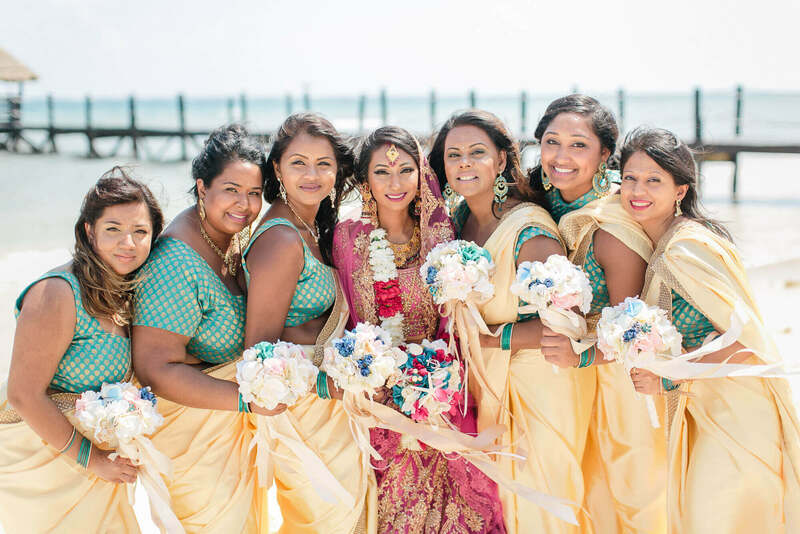 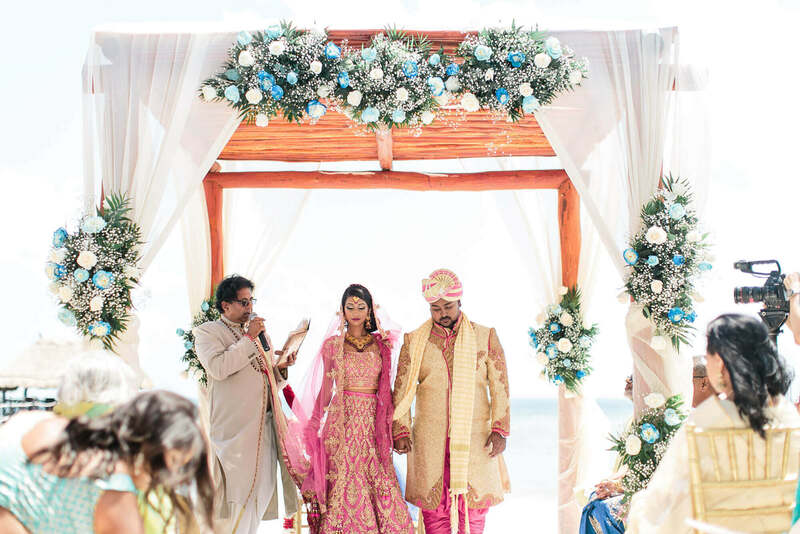 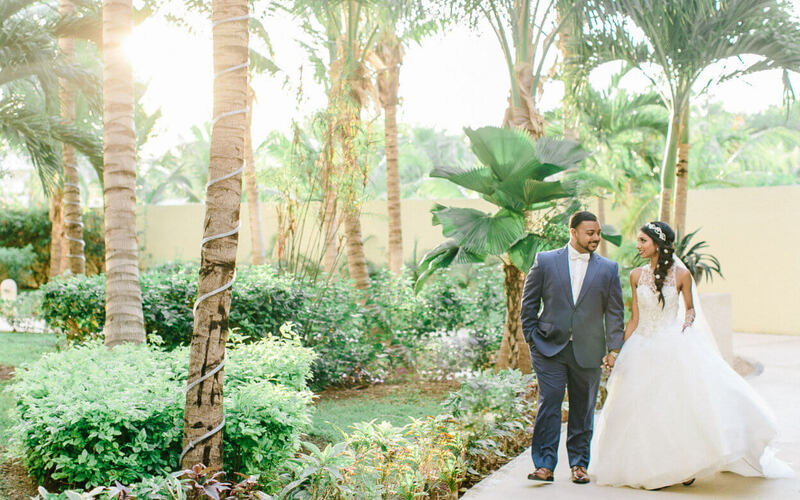 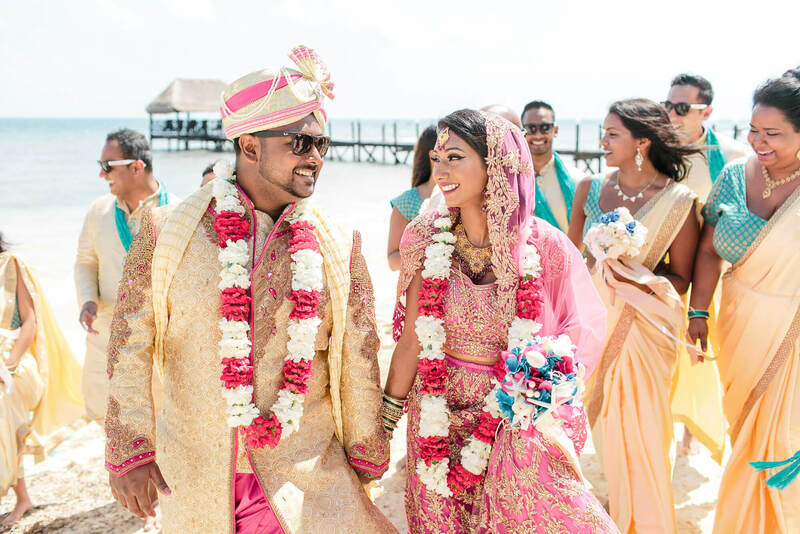 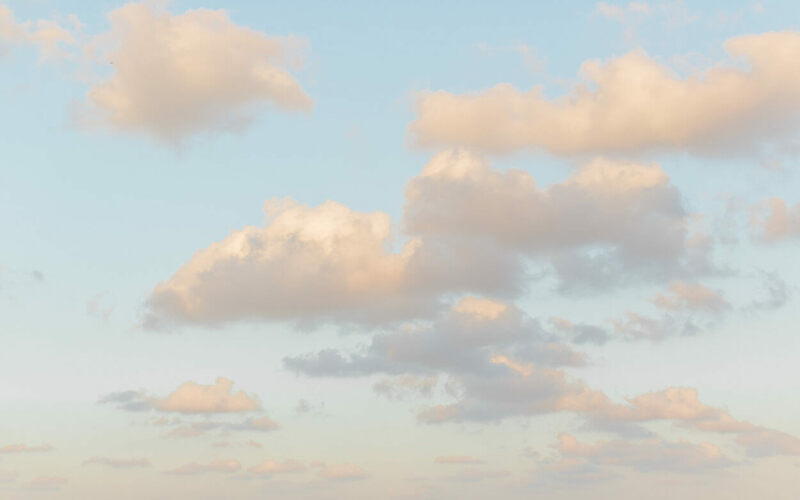 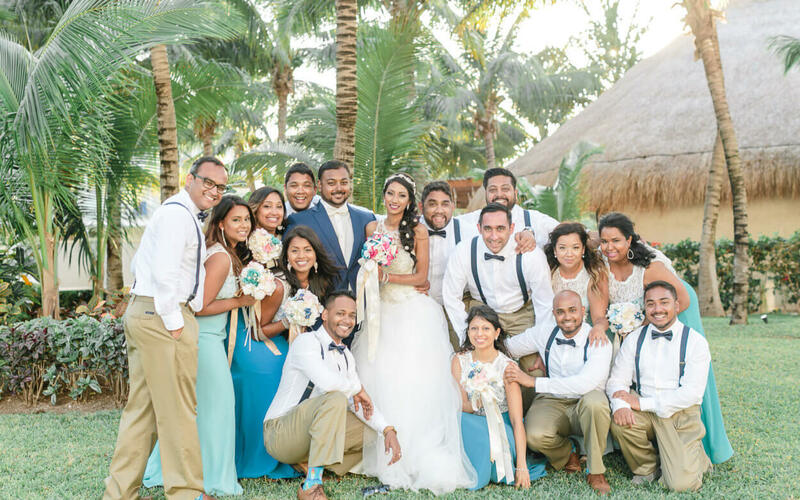 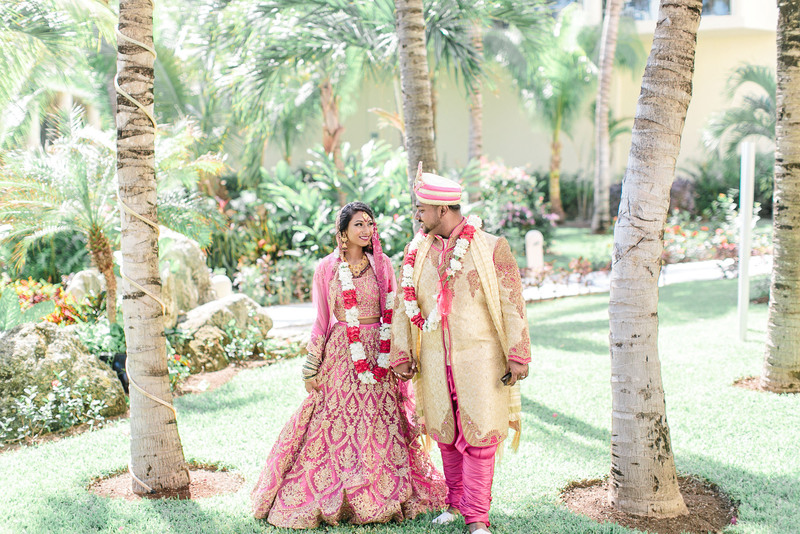 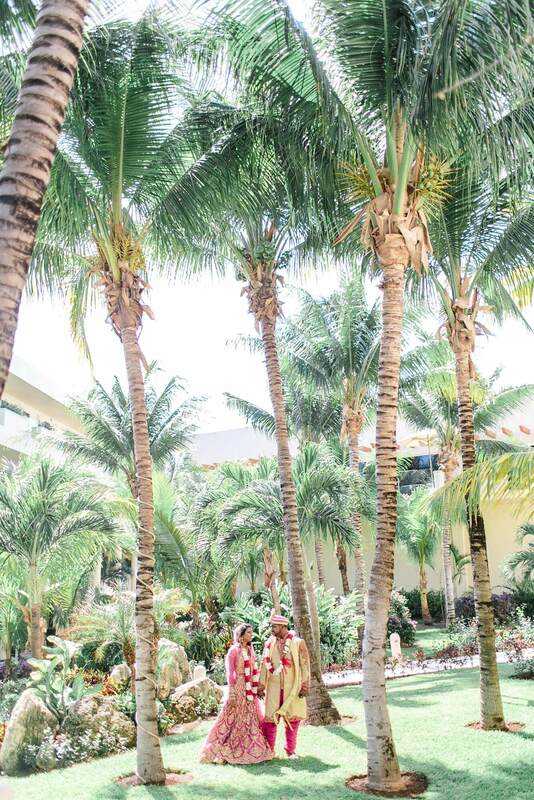 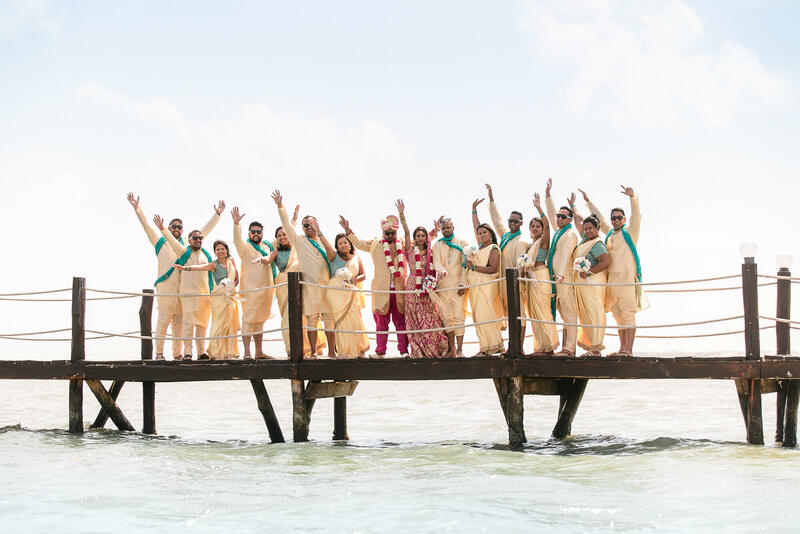 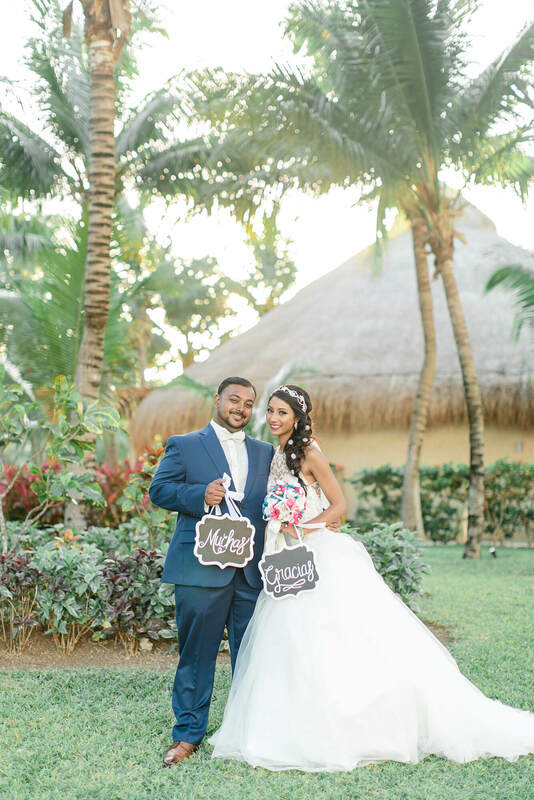 With the ebb and flow of the calming Caribbean waters waxing and waning, the warm wind of the Yucatan welcomed Naveena & Shahed on their wedding day ceremony held in a bright beach-side locale on Saturday. 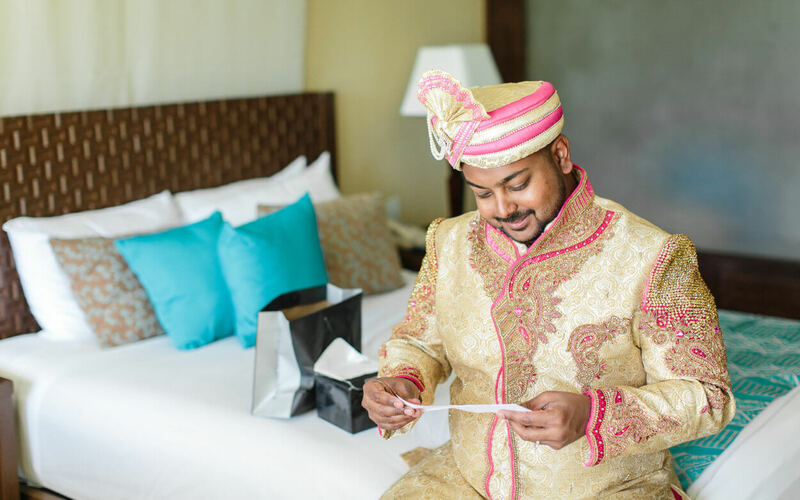 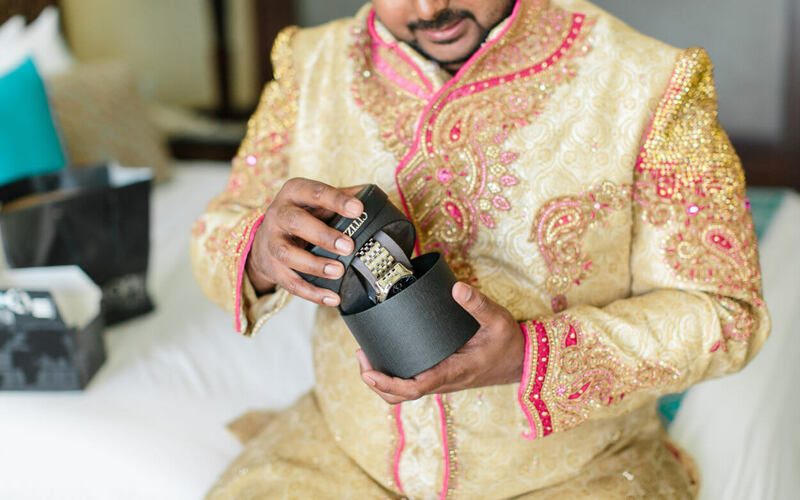 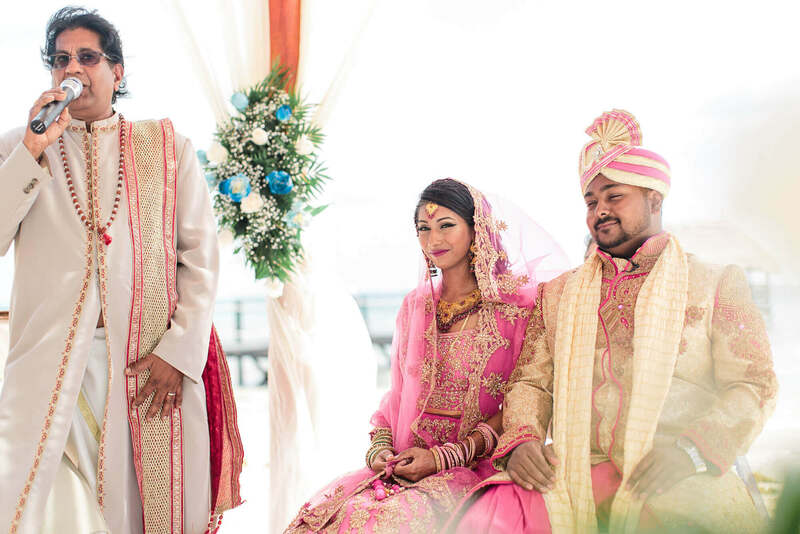 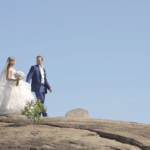 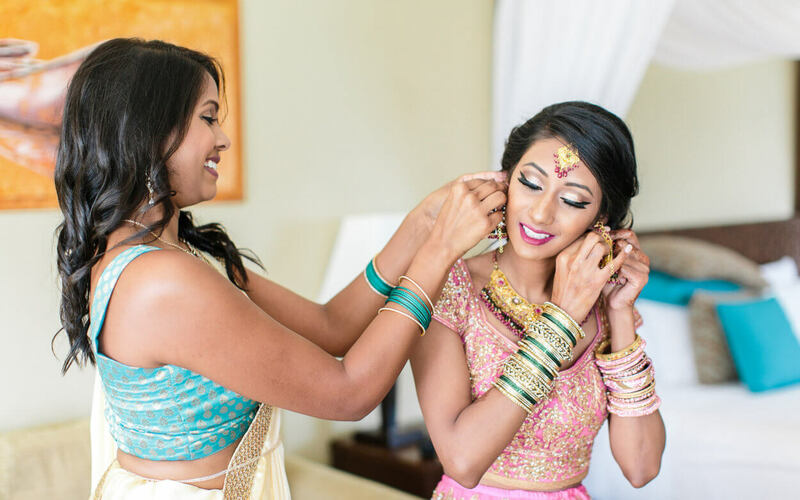 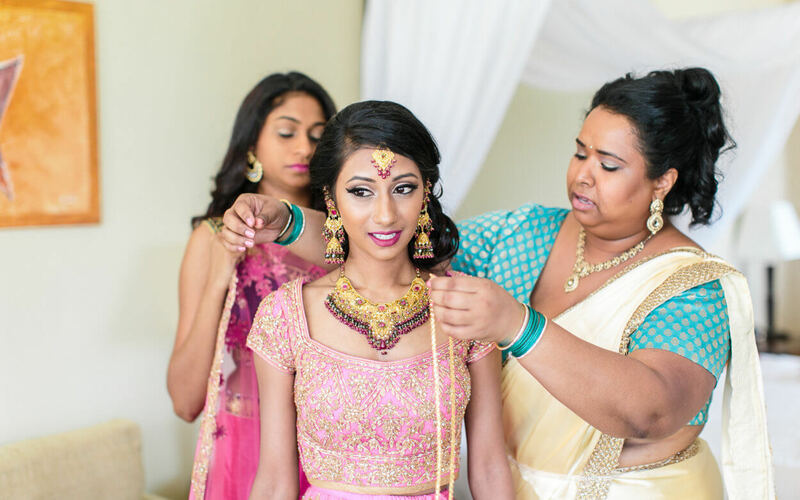 One of our videographers’ and cinematographers’ most favoured scenes for every wedding, and indeed for Naveena & Shahed’s, was the Saturday ceremony’s first-look; a vividly beautiful scene which we feature in the included highlight. 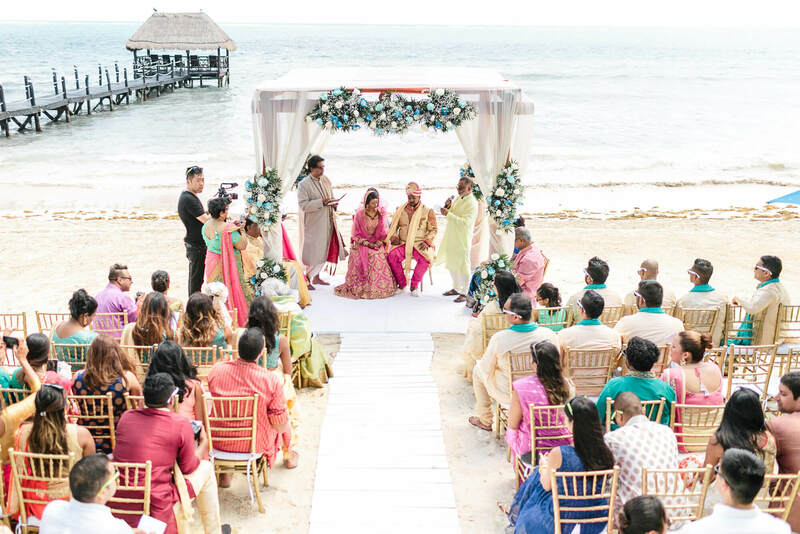 Naveena & Shahed’s ceremony would be doubly-special too, as it was also one of the rare multi-faith weddings filmed by our videographers and cinematographers; Naveena & Shahed both being South Asian, Naveena a Muslim and Shahed a Hindu, would let their love for one another become a bond for bringing both faiths closer together. 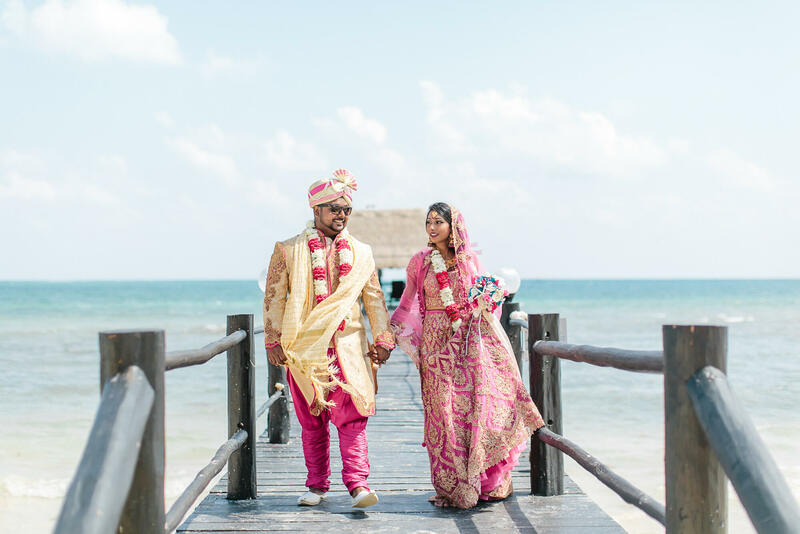 Another favourite scene of our videographers and cinematographers was of the newlywed’s remarkably sentimental walk by the beach amidst the breathtaking sunset scenery by the Caribbean seashore. 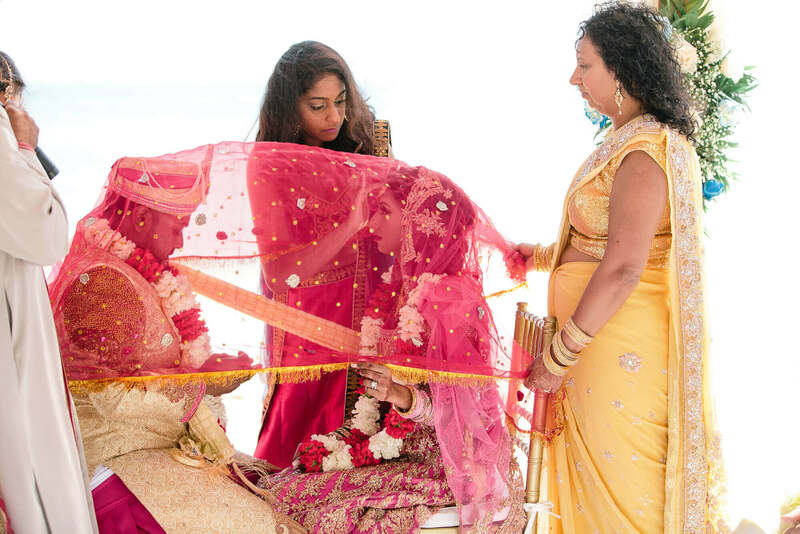 In our highlight reel, our videographers and cinematographers made the stylistic choice of interspersing such mesmerizing scenes with various lines from speeches given by Naveena & Shahed’s closest friends and family; and indeed, the event was a characteristically cozy and intimate one, as one of our highlight scenes show – Naveena & Shahed’s first dance on the beach’s sands as a curious crowd of their closest confidants share in such an unforgettable memory. 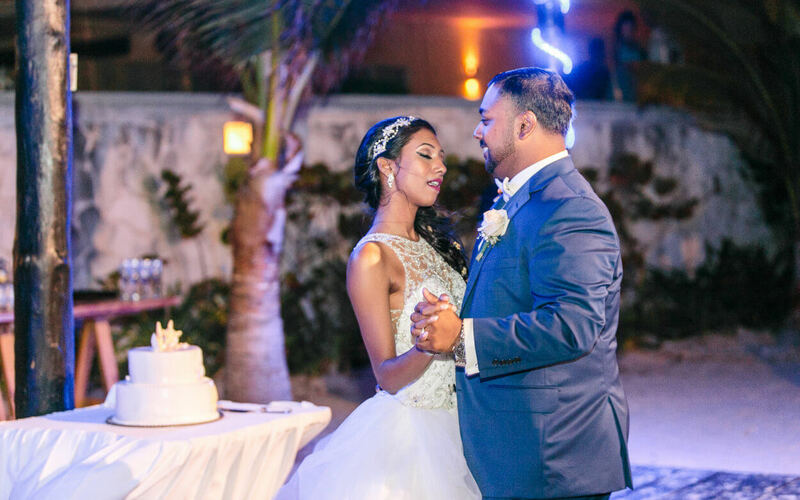 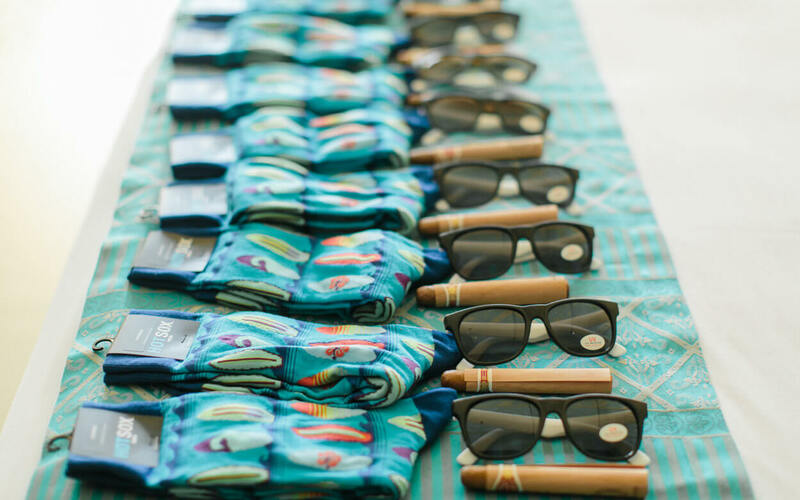 From the cake-cutting to the toasts, to an evening of song and dance underneath the Caribbean sunset. 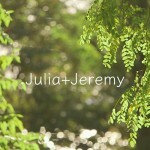 All of it was beautiful from start to finish. 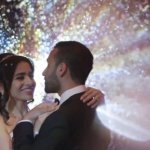 And with that, with three days of breathtaking sunsets to a somberly send off from an unforgettable destination wedding celebration, we here at SDE Weddings, Toronto’s premier wedding videography, cinematography and photobooth group, wish Naveena & Shahed all the very best in their newfound lives together. 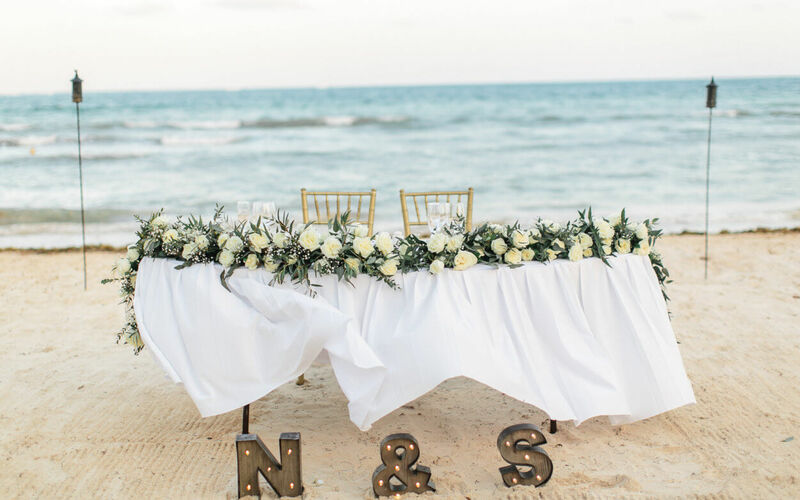 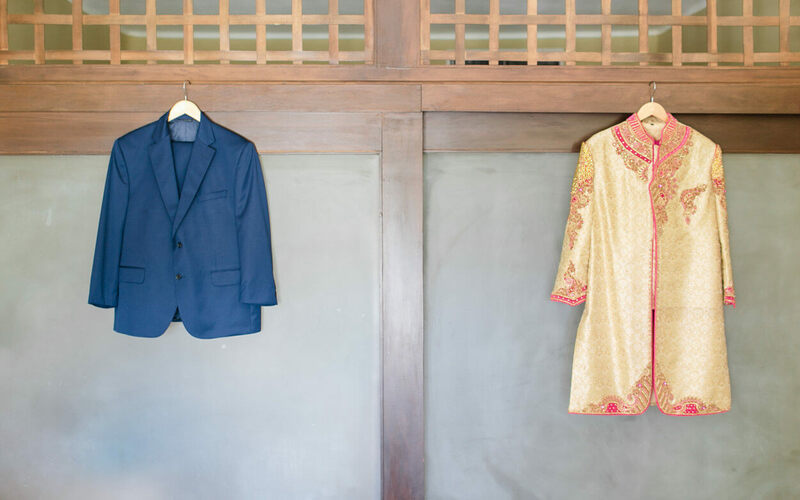 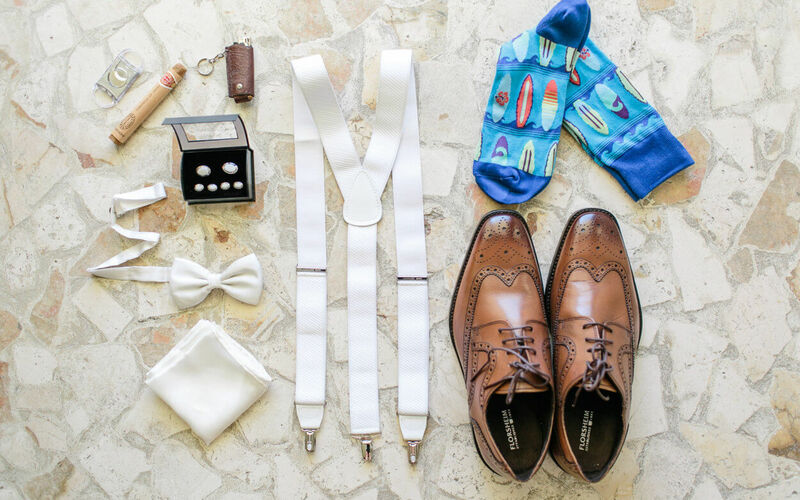 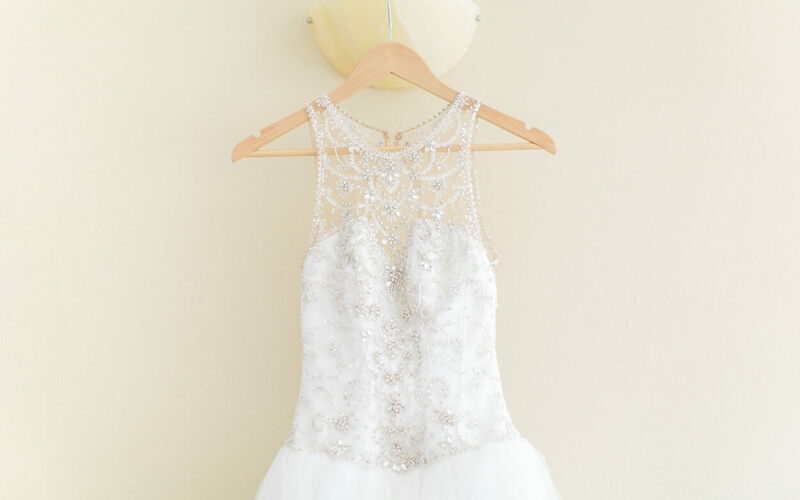 We thank them for graciously choosing us to work on their Cancun three-day destination wedding, among the finest work we’ve accomplished, and pray that our work with them would always serve as an eternal reminder that – in all things – their love for each other is enough to transcend all boundaries.